I got this press release from the Civil War Preservation Trust yesterday. 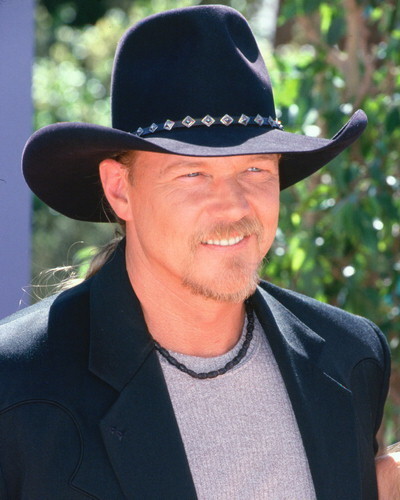 I adore Trace Adkins even more now! (Washington, D.C.) – Exactly 150 years after the formal surrender of Fort Sumter, inaugurating a four-year struggle that consumed America and made us the nation we are today, country music sensation Trace Adkins will testify to Congress about protecting Civil War battlefields for future generations of Americans. Adkins, known for a string of hits including “I Got My Game On” and You’re Gonna Miss This,” as well as his outstanding performance on NBC’s “The Celebrity Apprentice,” has long been a champion of Civil War battlefield preservation. Adkins has described a visit to the site where his great-great-grandfather fought as a “spiritual moment” that would not have been possible without the battlefield preservation movement. Adkins will be testifying at a public hearing of the House Appropriations Subcommittee for Interior, Environment, and Related Agencies, chaired by Congressman Mike Simpson (R-Idaho). The subcommittee is considering proposed FY2012 appropriations for the agencies and programs under its jurisdiction. Joining Adkins at the hearing will be Civil War Trust president James Lighthizer. The hearing will be held on April 14 at 10 a.m. ET in B-308 of the Rayburn House Office Building, Washington, D.C.
WHERE: Room B-308, Rayburn House Office Building, Washington, D.C.